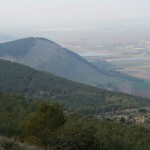 Mount Gilboa sometimes called the Mountains of Gelboe, is a mountain range overlooking the Jezreel Valley in northern Israel. 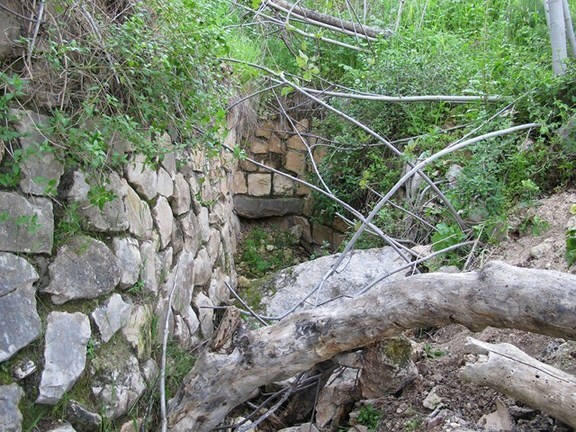 The meaning of the name Gilboa is boiling springs; bubbling fountains; agitated pools; water bursting from the rock. 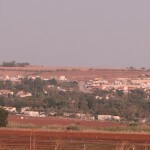 Beit HaShita (in Hebrew it means House of the Acacia) is an Israeli kibbutz situated between Afula and Beit She'an. It was founded in 1935. 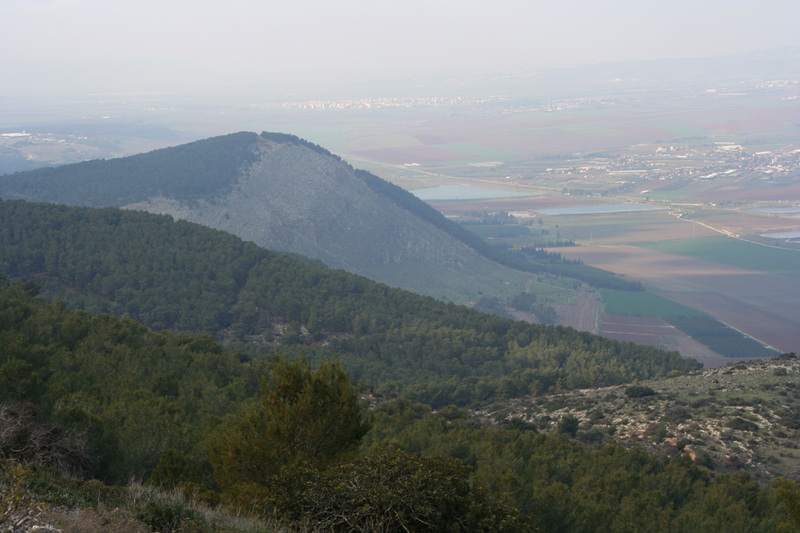 The kibbutz was later named after the biblical town Beit Hashita, where the Midianites fled after being beaten by Gideon (Judges 7:22), thought to be located where Shatta was. It falls under the jurisdiction of Gilboa Regional Council. Growth in fish ponds from the late 1930s. 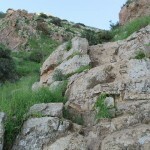 The hidden crick is a climb going on the way toward mount Barkan in the gilboa. 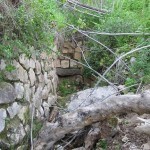 Ein Semel is a spring located near the cliffs of the Gilboa. 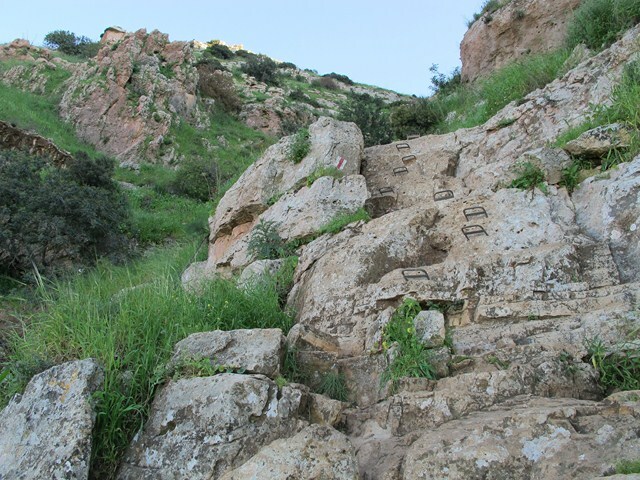 Alongside the spring you can find a big fig tree, and there will also meet a memorial to late Moshe Rosenfeld, who is considered the first kill of the "Arab Revolt in 1936-1939". Moshe Rosenfeld was a sergeant in the British police which was killed in the beginning of 1936. Heftziba is a kibbutz in northern Israel. 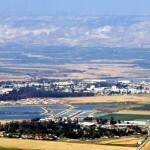 Located on the boundaries of the Jezreel and Beit She'an Valleys between the cities of Afula and Beit She'an, it falls under the jurisdiction of Gilboa Regional Council. Kibbutz Heftziba has a population of 374. The Japanese Garden were established by the Makuya students which have been sent to Israeli kibbutzim to work together with the people of the Bible, and to study Hebrew and the biblical background. Some of them continue their academic studies in universities. The primary kibbutz the Makuya students stay at is Heftziba.